A promo flier for "The Railcar," an immersive show in the works at a new theater inside of the Flat Iron building in Wicker Park. WICKER PARK — Imagine being trapped in a train and having just a single hour to escape during a futuristic Chicago setting. That's the premise of "The Railcar," a new "room escape" play in Wicker Park's Flat Iron Iron building that will require patrons to be part of the immersive action. "What starts off as a normal commute soon becomes a race against time. 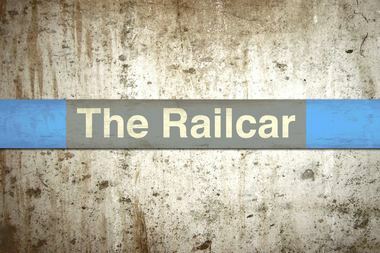 ... You have just one hour to save Chicago," a teaser for "The Railcar" challenges theater-goers. In “room escape” games, guests or "the audience" are held inside a space and need to work together to make an escape, according to Escape Artistry LLC, a new theater company that describes the vibe of its hour-long play as "smart, unique, creative, scrappy, a little raw and rough around the edges." Escape Artistry's first production, "The Railcar," hopes to debut sometime in November, according to owner and director Maren Rosenberg, who is awaiting city approval on a Public Place of Amusement license for live theaters. Rosenberg, who previously directed a Chicago edition of "Trapped in a Room with a Zombie," another room escape play that currently runs in Downtown's Fine Arts Building, said there are no plans to serve alcohol and that the theater, which is about 34 feet long by 9 feet wide, is intended to mimic an actual CTA "L" car during a futuristic time. Provided all goes well, when "The Railcar" opens it will make Escape Artistry the second theater company to operate out of the Flat Iron Building at 1579 N. Milwaukee Ave., joining Collaboraction, also on the third floor. About 10 patrons are ideal for inhabiting the simulated rail car set per show, and tickets will cost $28 per person before a $2.53 service fee, Rosenberg said. 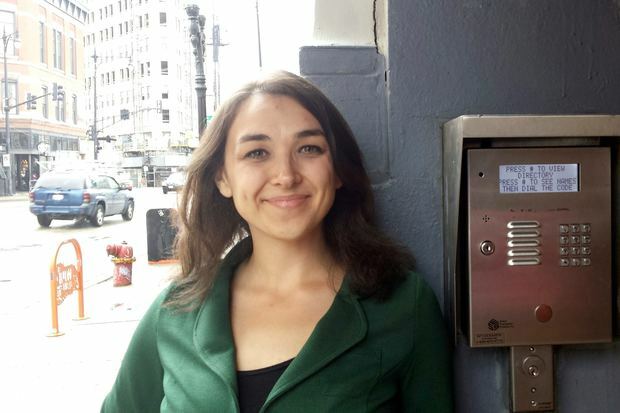 Rosenberg, 29, who currently lives in Humboldt Park, said the Flat Iron Building was selected as the spot for Escape Artistry's home base because the neighborhood "is a place with a lot of people who enjoy creative fun." "There are many different kinds of theater companies here that come from all over the city to Wicker Park to utilize spaces like The Den Theatre, Chopin Theatre and Gorilla Tango," Rosenberg said, referring to three other venues at 1333 N. Milwaukee Ave., 1543 W. Division St. and 1919 N. Milwaukee Ave., respectively. To stay updated on "The Railcar," visit the show's website or Facebook page.